At Premier Medispa in Seattle, we provide the latest non-surgical anti-aging and rejuvenation services in a comfortable and relaxing setting. All of our procedures are designed to provide you with excellent cosmetic results without significant pain, risks, or recovery time. Many of our patients have treatments performed during the lunch hour and return to work the same day. 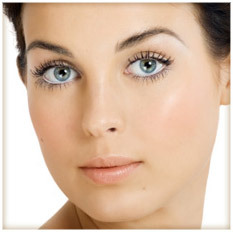 We offer the most effective injectables, such as BOTOX, Dysport, Restylane, Juvederm Ultra Plus, Radiesse and Artefill. Neuromodulators such as BOTOX and Dysport can reduce facial lines and wrinkles resulting from facial muscle contraction, while dermal fillers can replace volume loss in the face caused by aging to restore a natural, more youthful appearance. “The Liquid Facelift” refers to a combination of non-invasive treatments to the face, allowing patients to achieve complete facial rejuvenation without undergoing surgery. For our laser services, we utilize the Palomar StarLux 500, the most powerful laser and pulsed light system on the market. With a superior cooling system that maximizes patient comfort, the StarLux 500 allows patients to receive more effective results in less time. We offer an array of laser treatments including hair removal, skin rejuvenation, pigment and mole removal, and rosacea treatment. At Premier Medispa, all injectable and laser treatments are performed by a board-certified physician. This is different from other medispas where aestheticians and nurses often perform these procedures. After meeting with you to discuss your goals and concerns, the highly experienced Seattle cosmetic surgeon Dr. Lisa Precht will thoroughly explain your options and develop an individualized treatment plan that will enhance your beauty and allow you to achieve the results you desire.